PS3 Firmware v4.11 Released (optional) » Brewology - PS3 PSP WII XBOX - Homebrew News, Saved Games, Downloads, and More! 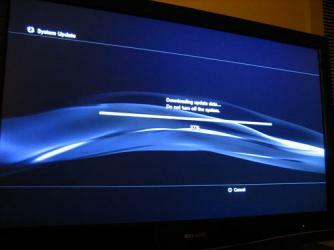 Later tonight we’ll be releasing an optional system software update (v4.11) for PlayStation 3. This minor firmware improves certain aspects of system software, and is not mandatory to connect to PSN. Again, this update is optional in the US and Canada, and can be downloaded by selecting System Update from the Setting column of the XMB. See more on the playstation blog.